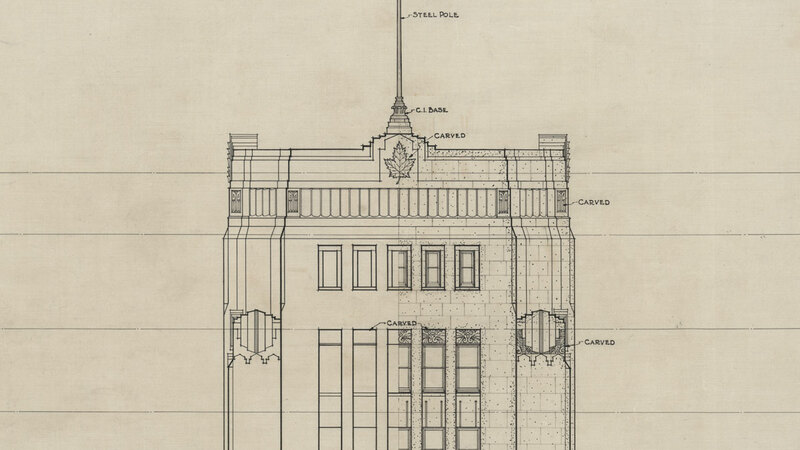 Web-based documentary on the London Dominion Public Building, a Canadian heritage landmark. The Dominion Public Building, located in London, Ontario is one of Canada’s heritage public landmarks. It is considered one of the best examples of early modern architecture across the nation. It is also a case of study in terms of public policies in times of economic struggle. The building was financed under the Public Works Construction Act of 1934, a project aimed at generating employment during the Depression Years. Those were challenging years for Canada and the main objective of this policy was the creation of jobs. The Dominion Public Building (1934-36) is a significant architectural landmark that speaks about the will of the nation to guarantee the well-being of its citizens. This web-based documentary explores the building, its history and present day significance. In addition to that, we are also granting access to hundreds of images in connection with the past and the present of the building and the City of London: architectural drawings, photographs, documents and newspapers clippings. The original architectural drawings were digitized in high resolution, at our request, in order to appreciate their details. The Dominion Public Building is a web-based documentary project, directed and produced by Juan Andrés Bello / Triana Media, with the support of the London Heritage Council.